We received a wool hand knotted rug from a customer the other day. The owner’s cats decided to be mean and pee all over one corner of the rug. The smell was horrifying when he brought it in. Now this rug didn’t have a ton of intrinsic value but, they bought it on a trip to Turkey. When he came through the door, he looked very disappointed. I imagine he was mad at himself for leaving it rolled up in the garage where his cats had easy access to the rug. I didn’t have high hopes for how the rug would turn out. We took the rug and offered the same care that we provide every rug that comes through Antonius Bros. We first dusted the rug to remove as much dry soil as possible and then proceeded to put the rug through its first washing. After the first washing, the carpet looked fantastic but, smelled atrocious. 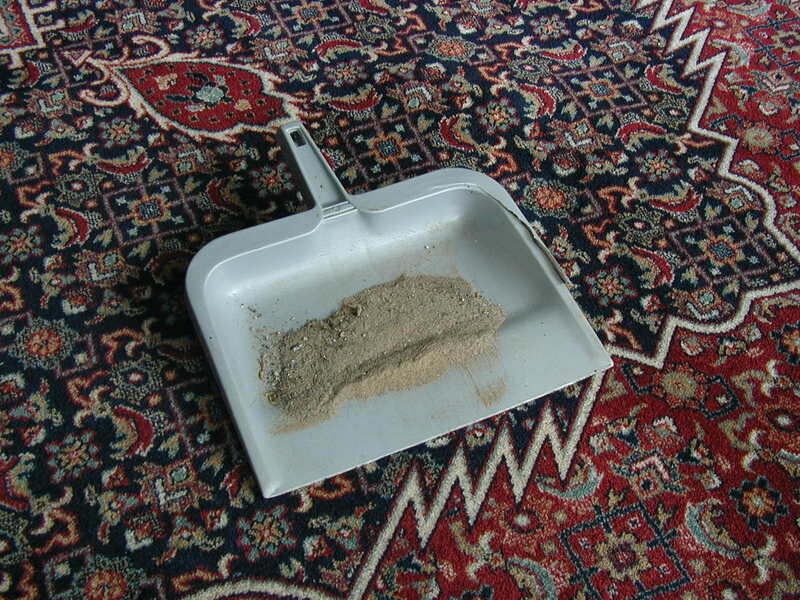 We then soaked the rug twice in vinegar to break down as much of the urine salts as possible. The carpet still smelled appalling better but not suitable for human noses. The next step was to soak the rug in a special enzyme treatment designed for wool rugs. That did the trick. When I put my nose right up to the carpet I smelled — nothing. We washed the rug one last time to remove any contaminants that were left and gently dried the rug with warm currents of air. I was ecstatic. We were able to save another memory. If you want to know more about our process of cleaning your prized possessions, give us a call, and we would be happy to talk to you about how we clean your rugs, valuable or not but always priceless.